Look Up - Look Out! Workers will need to make sure all safety precautions have been taken before work begins. 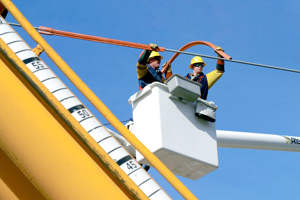 Greenville Utilities will assist you to identifying hazards and implementing necessary safety precautions. You could be subject to charges for protective actions taken on your behalf by GUC.